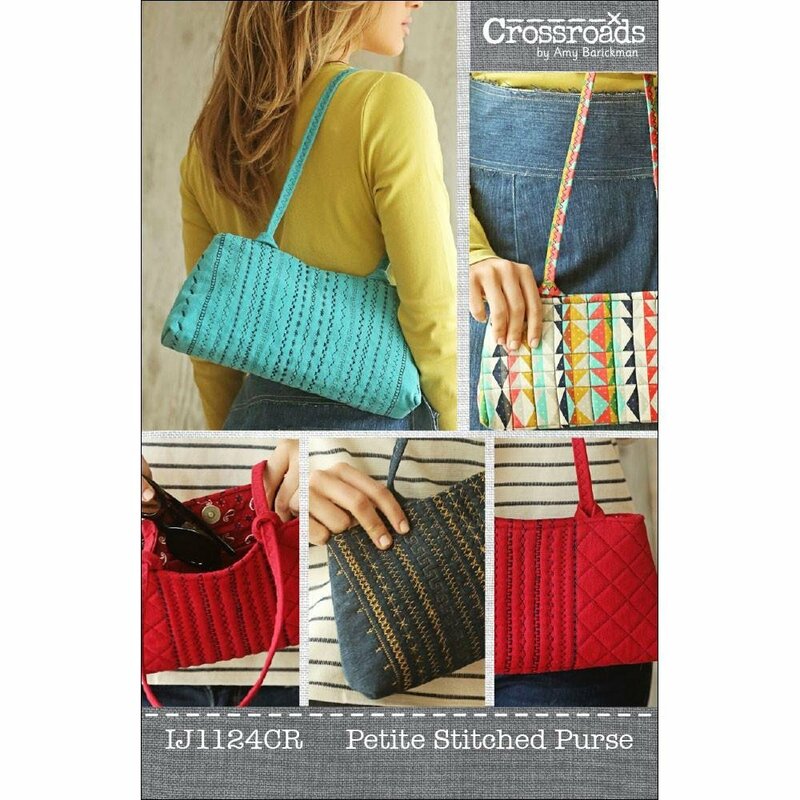 The options are endless for this Petite Stitched Purse! This easy pattern by Indigo Junction makes a bag that measures 12” x 6” and features a unique closure built into the handle. There is even an inside pocket! This little clutch is the perfect canvas for using all the decorative stitches on your machine. For quilting your bag, consider machine stitched grid quilting patterns on solids or use a free motion/BSR method on print fabric. You can even use recycled denim as your fabric for the outside if you choose.